To view our latest, up to the minute testimonials… visit our FaceBook page now! 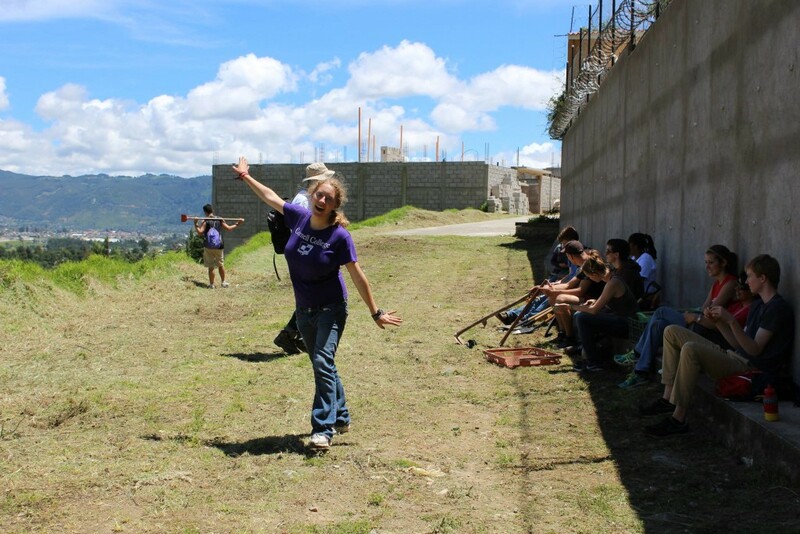 Caryn Shebowish 2015: I’m from the United States, and I studied for four weeks at Sisai, spent a week traveling around Guatemala, and came back to Sisai for another week because I couldn’t stay away. 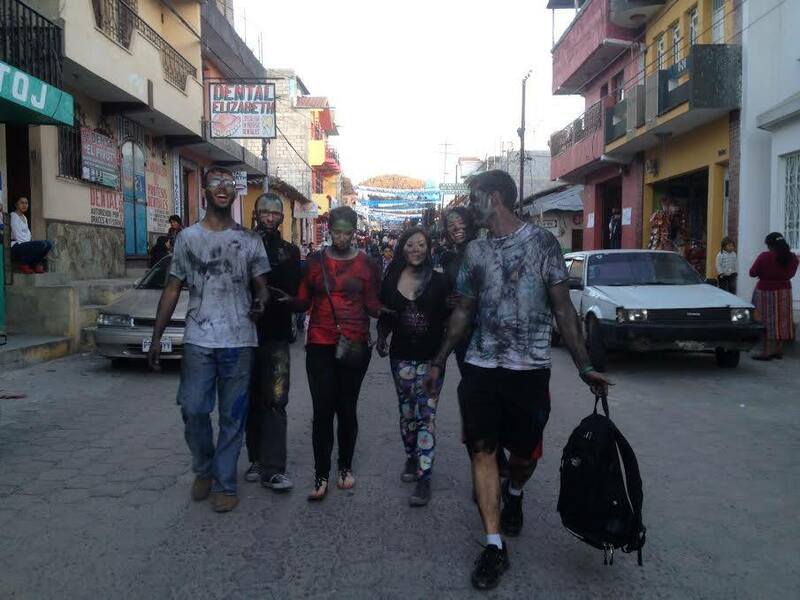 When I arrived, I immediately felt that everyone there would support me during my time in Xela. Coming to a new country is very difficult, and it’s especially difficult when you don’t speak the language. Sisai made my entire trip easy. All of the sudden upon arriving, I had two new incredible families: the teachers and directors at Sisai and my host family. Throughout my time there, both took incredibly good care of me, helped me to learn Spanish and about the culture of Guatemala, to adjust to the lifestyle, to make good friends, to enjoy myself and to have a ton of fun. Sisai not only ensures that their students have good classes; they will coordinate and organize practically any activity you want, any time you want in the Xela area. They will even help you book hotels and give you recommendations for your personal travel plans if you want to see other parts of the country. They check constantly to make sure that all is well. They take care of their students like any family member would care for another. If you go to Sisai, you will pay to learn a second language and you will leave with the knowledge that you are part of a strong community in a very rich culture. Give it a shot. I promise it will be an unforgettable experience. If you are looking for a place to send your high school student to study Spanish – look no further. 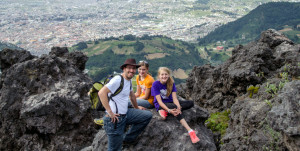 Sisai will take great care of your son or daughter from the moment their plane lands in Guatemala until the day they leave. I sent my son, Paul (age 17), by himself for four weeks in July 2014. The staff, teachers and host family were all so friendly and the other students, mostly college students or older, were very welcoming. I know Sisai also welcomes families to attend and learn. I began emailing Yaneth about three months ahead of time with all my questions. I called her once to chat but I could have done everything by email. Yaneth made all the arrangements with a B&B in Guatemala City for his arrival. They met him at the airport and took him to their B&B and then gave him breakfast in the morning and took him to the bus to travel to Quetzaltenango. And then Juan Sisay staff met his bus when he arrived. The school was so much more than just a school. Paul had Spanish lessons every day and gained so much confidence with speaking. 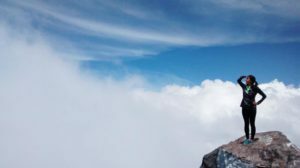 His 4 years of high school Spanish helped as background but the lessons and other experiences really gave him the confidence to immerse himself in the language. His teacher developed an individualized program based on his abilities. His host family was very nice to him and gave him three meals a day – which was included in the tuition. He ate very well. In the afternoons, Friday evenings and weekends the school plans activities many of which are included in the tuition or cost only a small amount. Paul learned to salsa dance, saw museums, watched educational and fun movies and took some eye opening trips to local towns where he learned about traditional Guatemalan culture. I traveled all over the world when I was in my twenties and I can say without a doubt that times have changed as far as communication. 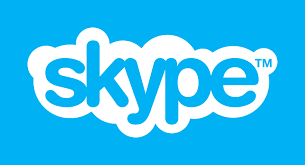 I was able to see and chat with my son on Google Chat. We set up a time once a week but I could have talked to him more often. His wireless internet access worked great. He also was able to buy a cell phone (very cheap) so he could call me any time he wanted. He used his cell phone mostly to communicate with the other students because we mostly talked on Google Chat. I highly recommend sending your high school or college student to attend Juan Sisay. They will learn so much and have a lot of fun. Prior to this experience Paul got straight A’s in Spanish but said he couldn’t speak it. Now he has the confidence to speak and he has a much greater understanding of the Guatemala culture. I am already thinking about sending his 14 year old sister in a year or two. Gracias a todos. Desde que yo llegué, he aprendido que no vale la pena preocuparme. Todos aquí me han enseñado que la vida debe ser relajada- que pasar tiempo con una comunidad tan fuerte como aquí, es precioso. No puedo decir bastante gracias- no hay palabras para describir como me siento. Iba a tratar de contar una historia favorita para mi, pero no podía decidir cuál es la historia perfecta. En lugar de una historia, voy a decirles a Uds. un poema pequeño. Necesito decirles un secreto: Estoy boracha. Pero no es como te parece- no bebí alcohol. Estoy boracha de otro modo. De hecho, bebí una bebida especial. Mi cuerpo está lleno de una bebida muy dulce. Cuando estoy bebiéndola, es más dulce que el tamarindo, y es más interesante que los mojitos. Cuando estoy bebiéndola, es el opuesto de la rosa de Jamaica: no voy a olvidar nada cuando tome un trago de esta bebida. Cuando estoy bebiéndola, huele mejor que la comida en la calle [sin lechuga, por favor] y sabe mejor que el pastel y chocolate que ya queremos cada cumpleaños. Cuando estoy bebiéndola, tengo conversaciones increíbles: como politica, religion, sobre la importancia de experimentar la cocina local. Cuando estoy bebiéndola, Me siento muy bien. Río muchísimo y estoy feliz. Mi corazón está feliz y me parece que no necesito preocuparme sobre casi nada. La bebida se llama Xela…. y cuando estoy bebiéndola, estoy contenta. Gracias otra vez a todos, especialmente los maestros y las directoras. Por favor visitenme y comuniquénse conmigo; voy a extrañarles a todos. Gracias. Rachael Cheslok 2015: My time at SISAI was much more than a Spanish education experience, though I did learn a lot of Spanish. It went beyond grammar and vocabulary into the unique and beautiful culture and beliefs of the Mayan community that make up the majority of the population in Guatemala. It was a lesson in respect and understanding and I have grown not only in my education of the Spanish language, but in my spiritual growth as a human. If you want to go beyond just learning Spanish and want to experience and learn about the culture – then I strongly recommend SISAI Spanish School. 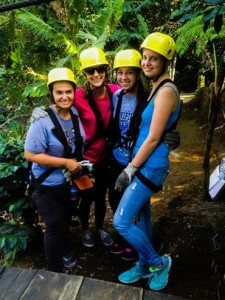 Katlyn Arndt December 2014: Studying abroad at SISAI Spanish School was one of the best decisions I made regarding my Spanish education. SISAI provided full immersion into the language and culture in Guatemala. The classes are tailored to fit each student’s needs and the teachers are highly qualified. I feel much more confident speaking in Spanish after studying at Juan Sisay for one month. Furthermore, the school provides a variety of activities throughout the week. The activities are great opportunities to explore Xela and other parts of Guatemala. 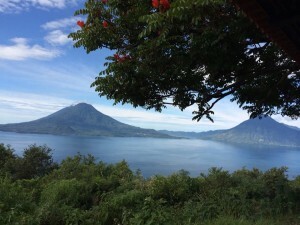 I especially enjoyed zip-lining and the trip to Lake Atitlán. From the moment I arrived in Xela, I felt welcomed into the SISAI family. I have made memories and friendships that will last a lifetime. Whether you are at a beginner or advanced level of Spanish, I highly recommend studying at SISAI Spanish School. 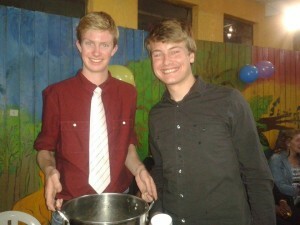 Zach Beeler, December 2014: The 15 weeks I spent at SISAI Spanish School have been the most rewarding and fun weeks in my 21 years of living. The teachers, directors, and coordinators have more than exceeded my expectations. I knew nothing about Spanish when I arrived, and now I feel perfectly comfortable starting and carrying on a conversation with a native speaker. It is awesome because the lessons are tailored to what the student wants/needs – whether it be for travel, work, or leisure the teachers here have many years of experience and are eager to work with their students. I also felt like my host family was a second family to me. They included me as a part of their immediate family and were patient with me when I started learning the language. It was definitely a “full immersion experience.” The activities and mini-conferences also helped me to expand my knowledge of Guatemala and its rich culture. SISAI is like a family – it is very difficult to leave. I would highly recommend the school to anyone that wants to learn, review, or advance in the Spanish language. Jane Amendola, September 2014: When i arrived a SISAI Spanish School, I had a very basic understanding of Spanish and could only speak phrases of greetings and necessity. After three weeks of instruction and experiences, I could have a conversation in Spanish, read a newspaper and write a letter in Spanish. The one on one instruction and immersion into the culture of Xela (which is not full of English speakers) is priceless in speeding up the acquisition of Spanish. Juan Sisay offers activities every afternoon that are fun, informative and allow you to practice what you learn. The natural hot springs “Fuentes Georginas” and the home for disabled children were two of my favorite excursions. Living with host family forced me to speak Spanish every day and I loved being excepted into a family´s house. If I ever had a concern or problem, Yaneth addressed it immediately and made sure I felt comfortable. The experience exceeded my expectations and I would recommend the Spanish School SISAI to anyone who wants masterful instructions and to be part of a well thought out program. 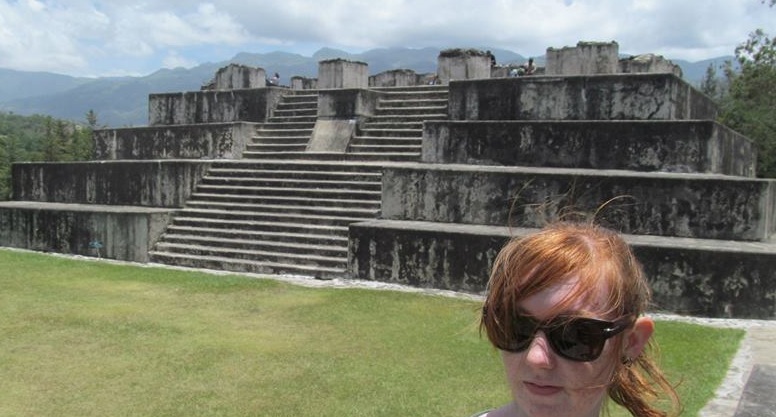 Hayley McKie, September 2014: The best experience I had at the school was in the classroom. Both of the teachers I studied with took note of what I was interested in, what areas I kept making mistakes in, and often combined them together so I could learn or talk about something I was interested in while improving my grammar. When I came to the school, I had a decent grasp on basic grammar but I was lacking a lot of vocabulary and had very limited ways to construct sentences. After my 103 course I have an understanding of all of the grammar points of Spanish and how I can use them more naturally and confidently. My host family was very friendly and accommodating. Although the whole family was rarely together, at least one of the sons would always sit with us while we ate dinner and talk and joke around with us. They were understanding and supporting when we were struggling to explain something, and always made sure we had everything we needed. SISAI Spanish School exceeded my expectations – I expected a fairly traditional Spanish grammar class, but what I got was much more focused on my needs and interests. The amount of activities and mini-conferences also surpassed my expectations, I found them all very informative. Thanks to the school for everything! We (my family of 4) arrived to SISAI not knowing what to expect. 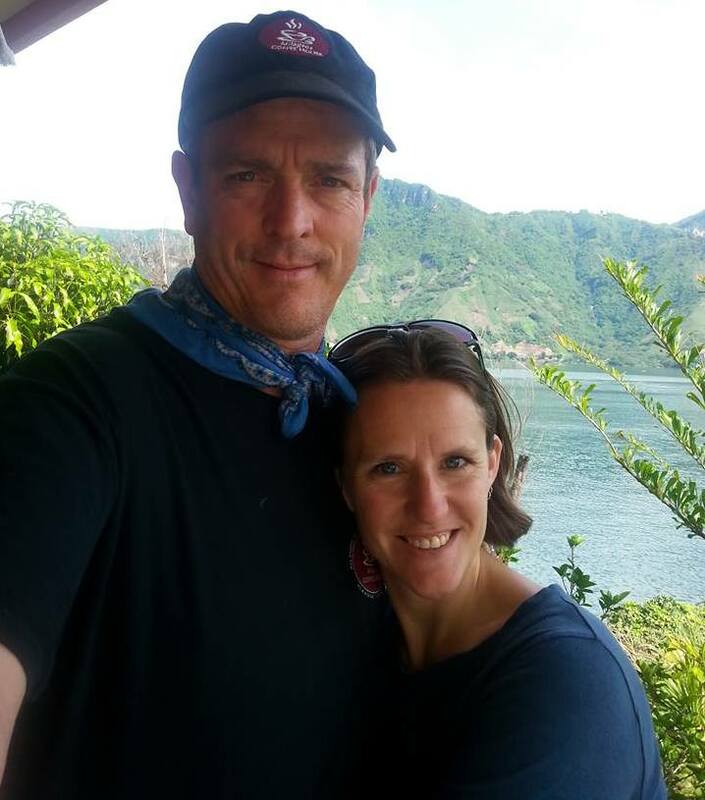 We had never before been to Guatemala, lived as guests in someone’s house for 2 weeks, nor had 1-on-1 Spanish class before. Overall I would say that our experience was wonderful. Everything from the accommodations, to classes, to the community outings have been very nice. We were met at the bus station by Yaneth, the director and brought directly to our host family’s house. There we met several family members who live at the property, including our primary hostess, Veronica and her lovely 10-year-old daughter. My wife and two daughters (12 and 14) have celiac disease and require a very high degree of care with food preparation which was immediately discussed and accounted for. The girls hit it off right away and the simple, comfortable accommodations were more than sufficient. Throughout our stay, the private bath was regularly cleaned, we were given private space to do homework and live as a family, yet we were involved with the family during meals and even our own “salsa and cooking” sessions. Wi-fi was also available for our use, to stay connected as needed. The school and classes were professional, yet small and intimate with a family atmosphere. The first week there were probably 16 students, the second week about 10. We struck up some great friendships with fellow students and teachers. My particular teacher, Fernando, was wonderful to work with. From day one, he made me feel comfortable yet continually challenged me to improve. His attention to details, and my learning style, helped him quickly craft a plan that we stuck to and completed right on schedule. Clearly an experienced professional, yet very personal and easy to visit with as we stretched my vocabulary and grammar, not just by formal teaching sessions but through meaningful and fun conversation. We enjoyed several outings, offered daily during the week, including things like salsa and bachata dance lessons, we learned how to make chocolate from scratch, learned about the culture, visited an impressive cemetery, hiked to the breathtaking peak of nearby Muele volcanic site…. And more. We are full-time missionaries in Mexico and this was a much-needed language shot in the arm for all of us. Our two-week stay at SISAI, was a good one. When we were considering options in Quetzaltenango (Xela) the Gluten-free accommodations noted on the website put us over the edge and we are glad it did. I would recommend the school to anyone. I had a very rough base of Spanish coming into the school and feel I made significant progress in refinement. For I am sure will be a life-long journey of language study, SISAI has gotten us off to a great start. 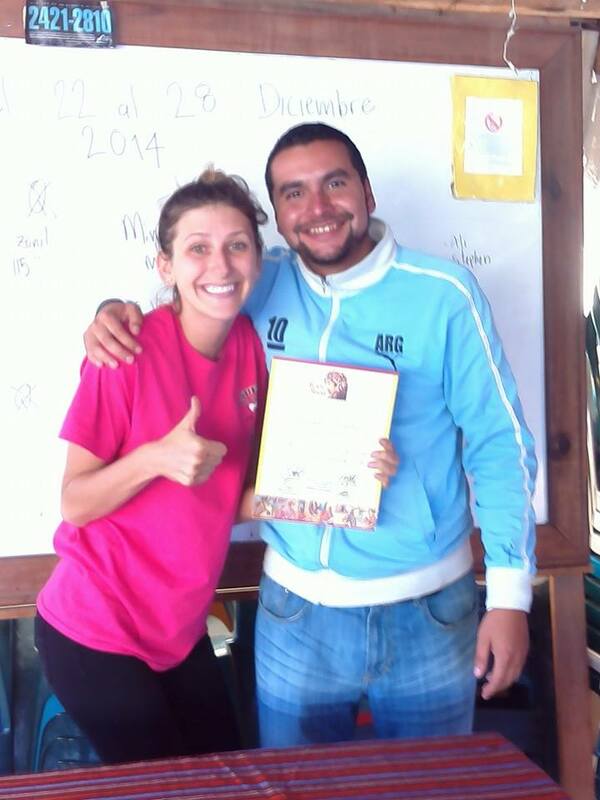 Alissa Wied,September 2014: We loved SISAI Spanish School! Our whole family, including our 12 & 14 yr old girls, came to the school with some basics of Spanish. In just two weeks, we feel like we’ve gained so much more understanding of the language and it’s mechanics and have less fear in speaking or making mistakes. We especially loved our host family. We stayed with Veronica and they were willing to cook gluten free meals for us. Since three of us have celiac, eating while traveling is always a huge concern, but the only time we got sick was when we went for a day trip and ate at a restaurant. Guatemalan cooking lends itself well to being gluten free! We would definitely recommend SISAI and the city of Xela as a great place to study Spanish. The afternoon activities are generally in walking distance, the variety of things to do and see is wonderful, and the people are friendly.